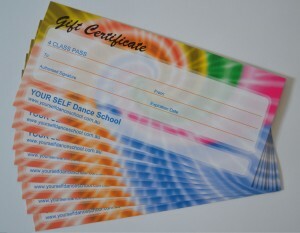 Now you can purchase Gift Certificates in our dance school! – any number of private dance lessons. Gift Certificates are valid for 2 months since the date of purchase. Cost: the value on the gift certificates is equivalent to the price of the lessons included on the certificates. Impress your friends at your New Year`s Eve party with a steamy partner dance! Zouk is a sensual partner dance that was born in Brazil where it developed from the Lambada dance style. Join us to dance this amazing social dance, enjoy the music and have fun! Bachata is a social, very beautiful partner dance originated from the Dominican Republic in 1960s. It is easy to learn and this dance is suitable for all ages and levels of experience as it does not take long to acquire the skills and confidence to dance. Classes are taught by an international dance instructor. Zouk Flash Mob in Adelaide 2016! We did it! Zouk Flash Mob in Adelaide 2016! Thanks to our dance instructors: Irina Iri and Gerry! And big thanks to all our participants: Elena, Amy, Silvia, Cathrin, Josef, Rob and Mitch! Traditional Brazilian Zouk is a sensual partner dance originated in Rio de Janeiro. Come join us to dance this amazing social dance, enjoy the music and have fun! No partner necessary. 8 class pass may be used by two people. Twice per week: every Tuesday and Thursday at 6:15pm.